Make 4 payments of $35.62 over 8 weeks and get it now! Claws are very important to cats. And your Furniture is Important to you! 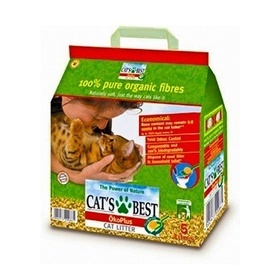 Smart and caring cat owners don't declaw their cats, but they do Save their Furniture with a heavy duty, natural Sisal Scratch Post by Smart Cat which helps to tone their muscles, remove old nail sheaths from their claws, help relieve stress, frustration and boredom, and mark their territory. The SmartCat Ultimate Scratching Post is both a vertical and horizontal scratching post for cats who like to scratch in both directions - reaching up high or stretched across the floor. The SmartCat Ultimate Cat Scratch Post is made from natural woven sisal, which is more durable that wound sisal. This means that you will get much longer use out of your scratching post. The Ultimate Cat Scratch Post is a durable, tall, full-stretch post with a heavy base that is sturdy and wide so it won't tip over or wobble when your cat runs and leaps at it. Cats don't like a wobbly scratch post, which is why they love your couch. 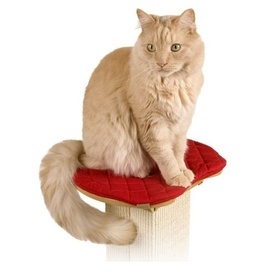 Give them an alternative to your furniture with a heavy and tall Cat Scratch Post from SmartCat that also allows them to perch on top (you can even get a separate soft red perch - sold separately). The SmartCat Ultimate Scratching Post contains quality materials that won't fall apart, and will pay for itself many times over! You won't be replacing this post any time soon, because SmartCat makes products that are sturdy and well made and include quality materials that your cat will love. Don't wait until your furniture is destroyed, test out the SmartCat Ultimate Scratcher now. * Place the scratcher in a room where the cat spends a lot of time. Cats often like to stretch and scratch when they wake up from a nap. * To introduce the scratcher to your cat try using catnip as a lure (for most cats a lure is unnecessary, but fun). Rub catnip onto the sisal material and call the cat over to the scratcher. * Scratch your nails along the surface of the material. This will attract the cat and at the same time teach him where to scratch. * After your cat begins to scratch, praise him and give him a food treat - small kittens can be trained to climb the scratcher by showing them food treats and placing it at the top of the scratcher. * If your cat has already been scratching a piece of furniture, place the scratcher directly in front of it. * Temporarily cover the previously scratched areas with a few strips of double-sided carpet tape or clear double-sided tape strips that are designed for this purpose. 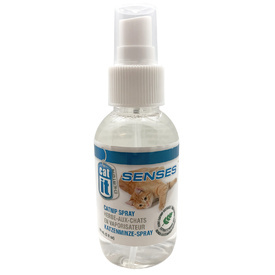 This will help redirect your cat's scratching activities to the scratcher. * Most cats are easily trained but if your cat is the exception, please see catsinternational.org for free behavior counseling.